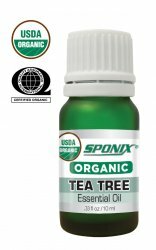 Native to Australia and naturalized in China, Africa and New Zealand, tea tree oil has become very popular due to its strong anti-inflammatory and antiseptic properties. Due to these properties, the oil is famously used against acne and skin inflammations. This also help treat insect bites, burns, bruises and blemishes. Furthermore, the oil has been used in bath water to help relieve cough and lung congestion. Tea Tre Oil has known positive effects on eliminating foot odor, and in helping hair and scalp health. In addition to that, the oil is famously used as well as a natural home cleaning agent due to its antibacterial properties.